Brazilian and South American music written for solo guitar, with world percussion accompaniment. Toying with mysteries that have puzzled seekers from every age, the music of Compassionate and Wise leads listeners to a serene, otherworldly place, far from the mundane. This collection is a mix of instrumentals and songs with rhythms from around the world. The song texts are drawn from a wellspring of ancient sacred sources -- Buddhist and Hindu as well as Christian. In the Heart of the Desert features an array of unusual percussion instruments including the mbira, crotales, caxixi, shekere, congas and many others. Unites the sound of contemporary Christian music with the rich tradition of the liturgy. Its rhythmic, down-to-earth combination of musical styles, including Afro-Caribbean, gospel and Americana, is liturgically accessible to the assembly as well as the performers. The songs are singable, and the refreshing melodies and rhythms can animate any liturgical celebration. John Pennington's twenty-years of recording experience is extensive and reflects his varied interests including orchestral, jazz and global musics. The following catalog includes recordings as: performer, conductor, collaborator, producer, arranger and composer. Echo of Your Peace - (CD Recording) (composer and performer) 2008- Medio Media Publishers. (producer, conductor and arranger) released October, 2007. Compassionate and Wise (CD recording) (co-producer and composer) released May, 2006-Equilibrium. Invisible Proverb (CD recording) (producer and arranger) released October, 2006. (co-producer and conductor)- released December 2004-Equilibrium. (composer and performer) released April, 2003-Equilibrium. Old News - (CD recording) (arranger and performer) - released November, 2002. Equilibrium. Desert Songs - (CD Recording and world premiere) by Brad Bodine for Animas Music Festival for 2 percussion and choir. 2001, Tucson, Arizona. (co-composers and performers) - OCP Publications, February, 2000. Transformations (CD) - John Pennington, (composer), Matthew Pennington, author, 1999. Produced and distributed by Brothers Pennington Productions. 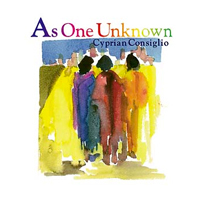 As One Unknown (CD) - Cyprian Consiglio - OCP Publications, 1998. (Performer). Behind and Before Me (CD recording) - Cyprian Consiglio - OCP Publications. (Soloist and co-arranger) of Canticle of Brother Sun and Sister Moon. Cantemos (CD Recording) - Pedro Rubalcava - 1994, J.S. Paluch Co.
(Co-Composer) of Venid a la Vina. There is a Light (CD Recording) - Daniel Consiglio - 1992. Produced by North American Liturgy Resources. (Performer). We Gotta Love (CD Recording) - Tom Booth and Joyce Baily - 1991. Produced by Cristo Music, percussion. Eucharistic People (CD Recording) - Tim and Julie Smith - 1991. Produced by Troubadour Productions. Percussion and drums. Present Moment (CD Recording) John Osborne - 2007. Gentle Sounds II (CD Recording) - Carey Landry - 1991. Published by North American Liturgy Resources, percussion. Cheryl Aubin's Celestial Kings (CD Recording) - 1991. Produced by Cristo Music. All percussion and drums. Golden Age of Brass II(CD Recording) - 1991. David Hickman, trumpet and Mark Lawrence, trombone. Henry Charles Smith, conductor. Summit Records. Percussion. Oliver Messaien's Et Exspecto Resurrectionum Mortuorum (CD Recording) - 1990, Arthur Weisberg, conductor. Performed by Ensemble 21. Percussion. Julie Barrett Smith's The Child Within (CD Recording) - 1990. Published by Troubadour Productions. All drums and percussion. Golden Age of Brass (CD Recording) - 1990. David Hickman, trumpet; Mark Lawrence, trombone. Summit Records. Percussion. Published by North American Liturgy Resources. Nominated for a Grammy award in 1990. All percussion and drums. Signs of Your Coming (CD Recording) - St. Timothy Catholic Church 1989. Percussion. Main Street Electrical Parade - Soundtrack for Disney Productions - 1991, percussion performer. Lines of the World (CD Recording) - Luke Street Productions - 1989.